American duo seal last Florida regatta berth for elite youth sailing event. 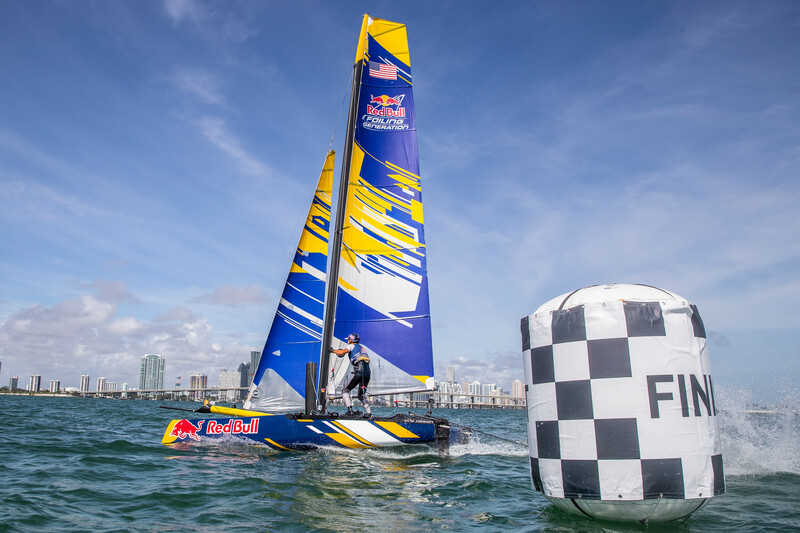 Ian MacDiarmid and Nicolas Muller fought off a strong US national field to claim the last regatta berth for the Red Bull Foiling Generation World Final in Miami. 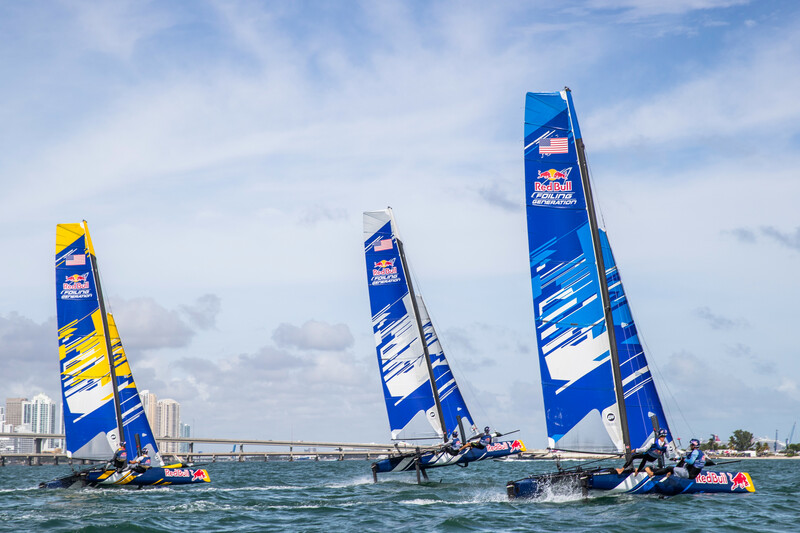 – Strong Florida winds faced the high quality field for the final national regatta of the last 12 months with the Flying Phantom catamarans flying over the water. – MacDiarmid and Muller nearly saw their World Final hopes dashed in the semi-finals when their catamaran flipped over, however they held their nerve to battle back for second place and a spot in the national final. – They upped their game in the final against three other Flying Phantoms to power into the lead and held on to seal their World Final spot for this week. 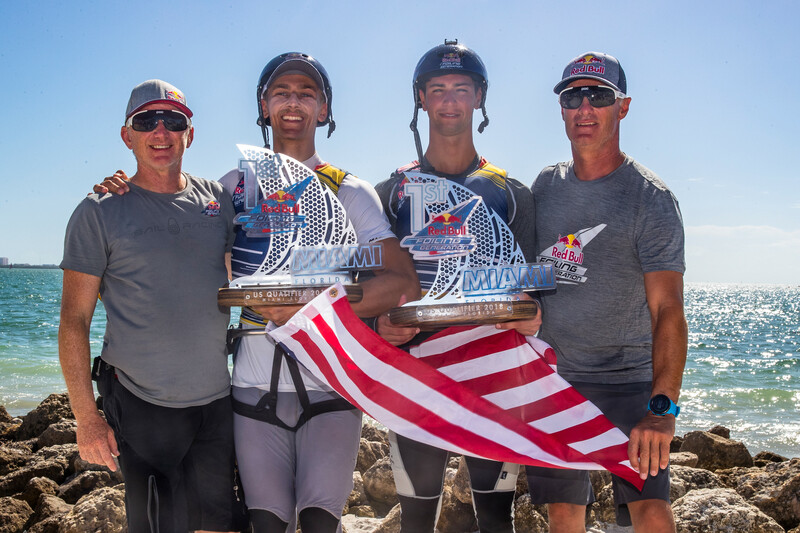 – The American duo will now face 15 other nations comprised of sailors aged 16-20 in the event created by Austrians Roman Hagara and Hans Peter Steinacher. This entry was posted in Adventure, Global News, Highlights, Sailing, Water by admin. Bookmark the permalink.